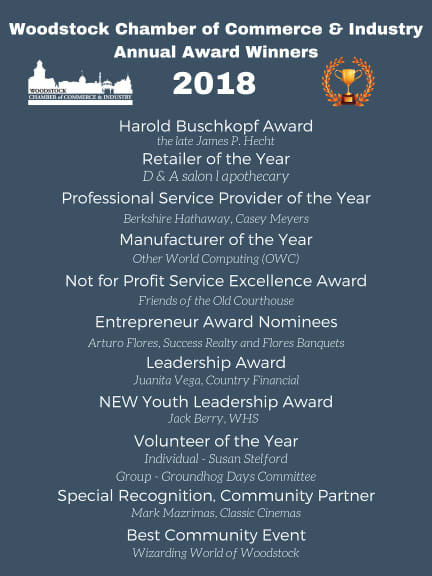 Each year, the Woodstock Chamber of Commerce and Industry Awards Dinner attracts prominent business leaders to recognize and celebrate the people and companies that have made Woodstock great and demonstrated unique vision, innovation and achievement in support of our region’s economy and small to mid-size business community. 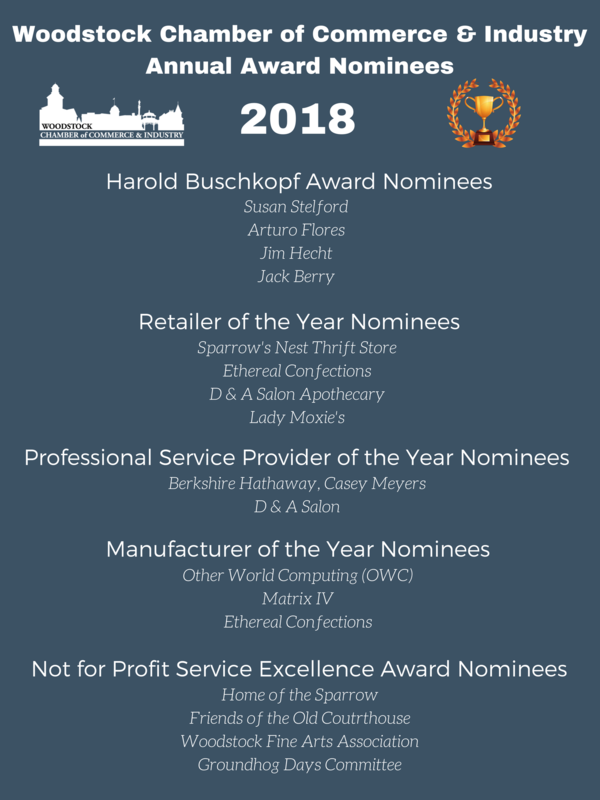 Please take a minute to nominate a company or person you feel has gone above and beyond this year in any of the following categories. epitomizes the character and spirit of Woodstock. 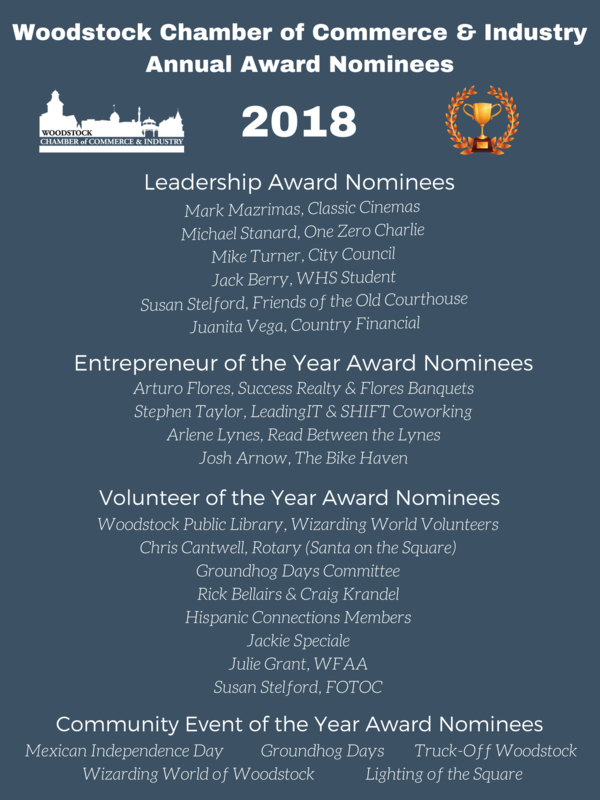 Nominee must have gone beyond the normal call of duty in volunteering their time and talents to make Woodstock a better community in which to live, work or play. Have between 1 – 1000 employees. Be independently owned and operated. Demonstrate excellence in their professional service industry. Have created an innovative program or initiative for their industry or employees. Demonstrate a commitment to social responsibility. Demonstrate a high level of entrepreneurial spirit, leadership, perseverance, creativity, and determination to be successful. Demonstrate outstanding contributions to the community. Show benefits of service and how they set organization apart. 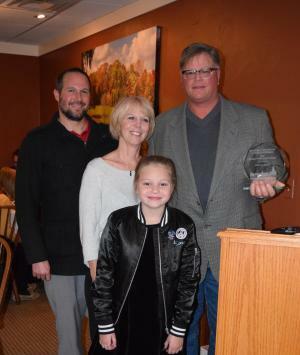 Nominations will be accepted January 1st through February 15th each year.